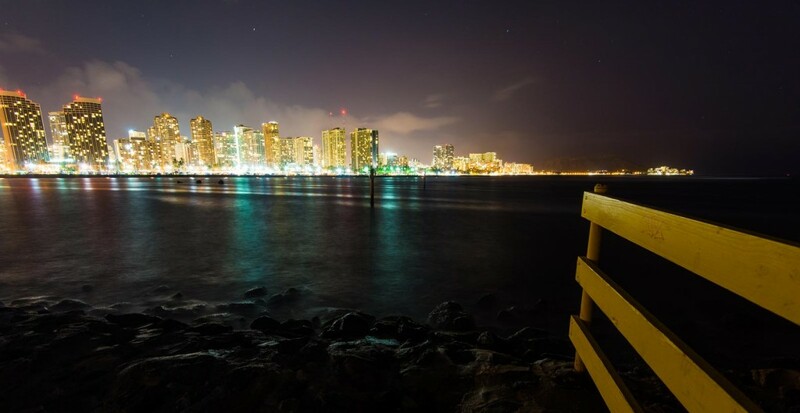 Honolulu shines into the night sky above Oahu island from Ala Moana Beach Park, resisting the night sky lit with stars. In the distance, you can just make out the famous Diamond Head pu’u. Beyond the city, clouds seem to creep in trying to make their way down the mountain to the sea. It takes skill and patience to pull off a long exposure photo like this. We are excited that it was submitted to us by a photography student at Hawaii Pacific University, Hallvard Kollveit. We look forward to seeing more of Hawaii through his eyes. I am a student at Hawaii Pacific University, and a photographer for the school newspaper.